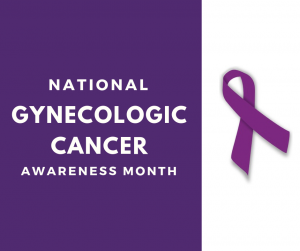 Cervical cancer is the easiest gynecological cancer to prevent, with regular screening tests and follow-up. The Pap test (or Pap smear) and the HPV test are both screening tests that can help prevent cervical cancer or find it early. Both tests examine cells from your cervix to look for abnormalities that may be signs of cervical cancer. The Pap test is recommended for all women between the ages of 21 and 65. You should get a Pap test about every three years, but be sure to talk to your doctor to set a schedule that is right for you. Cancer starts when cells in the body begin to grow out of control. It can start in nearly any part of the body and spread to other areas. Cervical cancer starts in the cells lining the cervix (the lower part of the uterus). Cells do not immediately change into cancer. The normal cells gradually develop pre-cancerous changes that turn into cancer. Regular Pap tests function to detect these changes before the cells can become cancerous. The only cancer for which the Pap test screens is cervical cancer. It does not screen for ovarian, uterine, vaginal, or vulvar cancers. So even if you have a Pap test regularly, if you notice any signs or symptoms that are unusual, talk to your doctor. If you are 30 years old or older, you may choose to have an HPV test along with the Pap test. Your doctor can perform both tests at the same time. If your test results are normal, your chance of getting cervical cancer in the next few years is very low. It’s important for you to continue getting a Pap test as directed by your doctor. are many types of HPV. Some HPV types can cause changes on a woman’s cervix that can lead to cervical cancer over time, while other types can cause genital or skin warts. HPV is so common that most people get it at some time in their lives. HPV usually causes no symptoms so you can’t tell that you have it. For most women, HPV will go away without needing treatment. However, if it does not, there is a chance that over time it may cause cervical cancer. It can take as long as three weeks to receive your test results. If your test shows that something that’s not normal, your doctor will contact you and figure out how best to follow-up. There are many reasons why test results may come back abnormal and this doesn’t necessarily mean that you have cancer. If your test results show cells that are not normal and may become cancer, your doctor will let you know if you need to be treated. In most cases, treatment prevents cervical cancer from developing. Follow up with your doctor right away to learn more about your test results and treatment. At Women’s Care, we believe that annual exams with one of our physicians are an essential way to promote your overall health. Our obstetrician/gynecologists are experienced with performing routine Pap and HPV tests. If you would like to learn more about cervical cancer screenings or schedule a screening with one of our doctors, contact us at our Eugene or Springfield location.